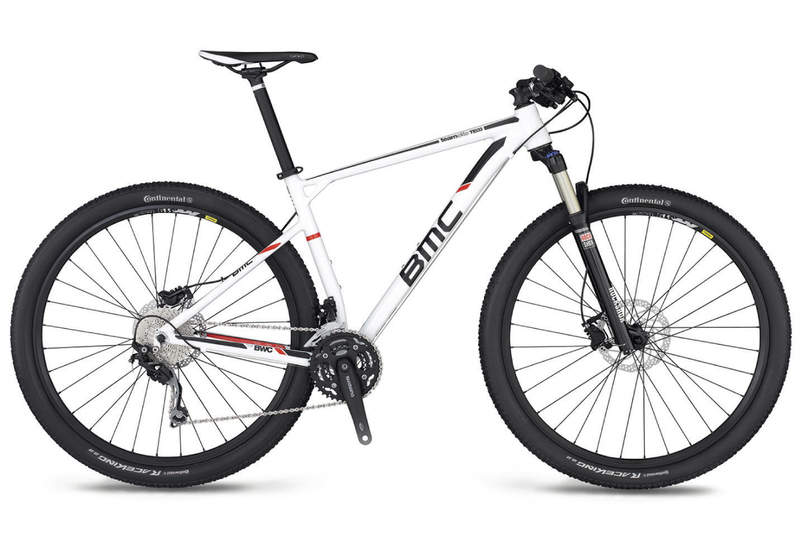 BMC bills the Team Elite as “a thoroughbred cross-country weapon, perfect for joining the ranks of cross-country riding and racing”. At first glance, it certainly looks the part, with an arrow-straight, flat-backed top tube and steep head angle. Then there’s BMC signature tube bracing the top tube and seat tube — something also found on its road bikes. When we put the Team Elite on the scales, however, we unearthed the first of many contradictions — it’s the heaviest bike here. And, worse still, a big chunk of this is rotating weight. Its 29in wheels are by far the heaviest on test, at just over 5kg for the pair, which made the BMC sluggish and lifeless, and we expelled more energy getting it up to speed. Ironic considering BMC states that it provides the “speed, agility and snappy acceleration you demand from a 29er race bike”. It also describes the head angle as slack and the chainstays as short, neither of which we’d agree with. The chainstays are average at best for a 29er, and the 70° head angle is the steepest too. That extra bracing doesn’t seem to help the frame compliance either, so, although the seated riding position is good, we struggled to get comfortable. 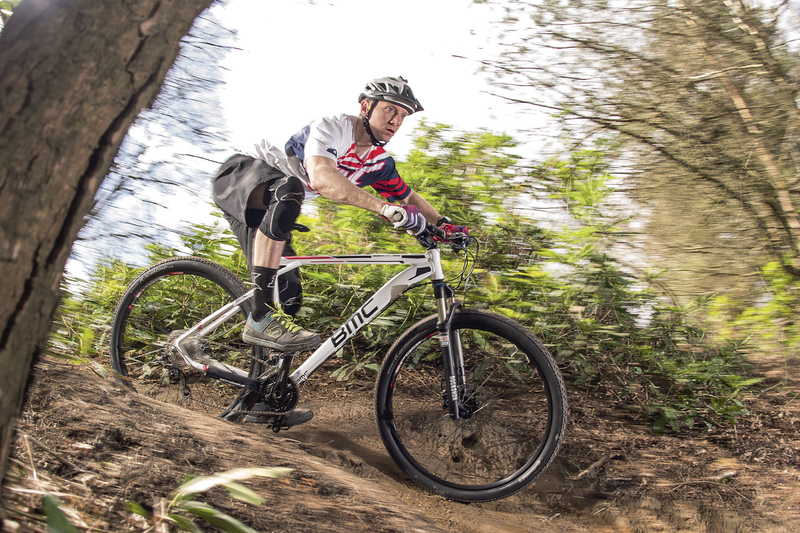 Overweight and lethargic, the BMC Team Elite TE03 was hardly a paragon of athleticism. Nor was it particularly fun to ride. We felt perched, rather like a jockey, and never found the confidence to really crack the whip and relax the reins. If we were after a 29ers, we’d pick the Cannondale Trail 2 every time.